Nestled in a remote tropical jungle, the Grand Oasis Tulum offers access to white sand beaches and one of the longest and most vibrant coral reefs in the world for snorkelling and scuba diving. The property located in the heart of the Mayan Riviera, accommodates 12 restaurants, 11 bars, four pools, a fully supervised kids’ club, a theatre and a world class spa that boasts a Temazcal (Mayan Sauna). 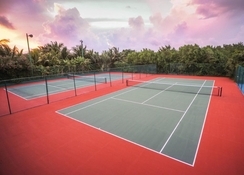 For fitness enthusiasts, the resort features two tennis courts, a multi-purpose court, a fitness centre and also provides access to a driving range and an 18-hole golf course located next door. Guests can enjoy the daytime and nightly entertainment activities with an excellent and amiable staff or choose from the numerous other recreational activities. 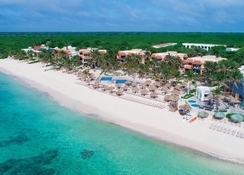 The hotel is located in Riviera Maya, about 150km from Cancun International Airport and is a two-minute walk from the beach. The Mayan ruins of Tulum are a 15-minute drive away and lively Playa del Carmen is a 20-minute drive away. Guests can drive to the Sian Kaan Biosphere Reserve in around 30 minutes, while Cancun is an hour’s drive away. 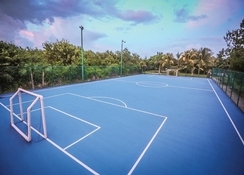 The theme parks like X-or, Xcaret and Xel-ha also lie within close proximity to the property. The Grand Oasis Tulum features 228 rooms that are categorised as: Sian Ka'an – offering exquisite oceanfront views of the Caribbean Sea; Grand rooms – offering relaxing views of the garden or pool; Grand Plus rooms – offering access to white sand beaches and the sparkling sea. 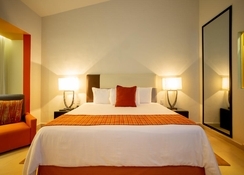 Each air-conditioned room is decked out in Mexican-style décor with dark brown furniture, smooth tile floors, fluffy linens and features, chock-full minibars (with limited free refills), flat-screen TVs, private outdoor spaces with garden, ocean, or pool views, and iPod docking clocks. 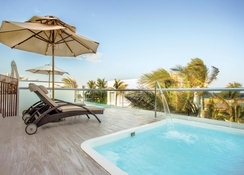 The ground-level rooms have in-room whirlpools, personal beach decks with loungers, and a roped-off soft sand beach area right out their terrace doors. Guests at the Grand Oasis Tulum can enjoy a plethora of dining options on site, which include gourmet, Mexican, Asian and Mediterranean restaurants. There are also nine bars, including swim up bars and poolside terraces to offer guests sufficient option to lay back and relax. Choose from Terrazza Careyes (seafood), Arrecifes (buffet) and Careyes (gourmet Mexican), Al Sur (Mediterranean), Dos Lunas (Italian) and Akeru Asia Lounge (sushi bar). Arrecifes Terraza is for snacks on the terrace, while Happy Chicken serves fast food. 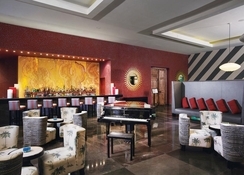 There are snack bars, sushi bar swim-up bars as well as a Mediterranean gastro bar. 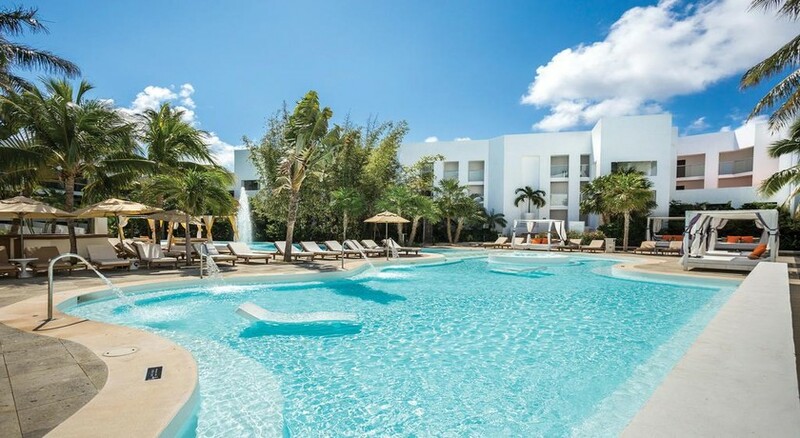 Grand Oasis Tulum is not just ideal for those who wish to relax by the beach, it provides a wide range of choices to those seeking an extra dose of entertainment. You can grab push bikes and ride up to the Casa Club, or head over to the sports area where you can partake in a game of tennis, ping-pong, foosball, or laze at the Sports Bar pool and Wimpy’s snack bar that the Casa Club accommodates. To indulge in a rejuvenating experience, the resort houses a spa that has a wide selection of body, beauty and massage treatments, a sauna and a traditional sweat lodge-style Mayan sauna. There are four swimming pools and a spectacular beach with coral reef. The young guests can hang around the Kids' Club, the playground area or at the indoor/outdoor activity centre that features computers, games, and crafts, and a special “kids only” snack spot.